It comes in a compact with an air puff sponge. This is a cream foundation with pink and white swirls making the color lighter than usual. I got the wrong shade -Light Beige which is way too light for my skintone and the pink and white swirls make the shade look even more lighter (as in ghost like effect) on my medium yellow skin tone. 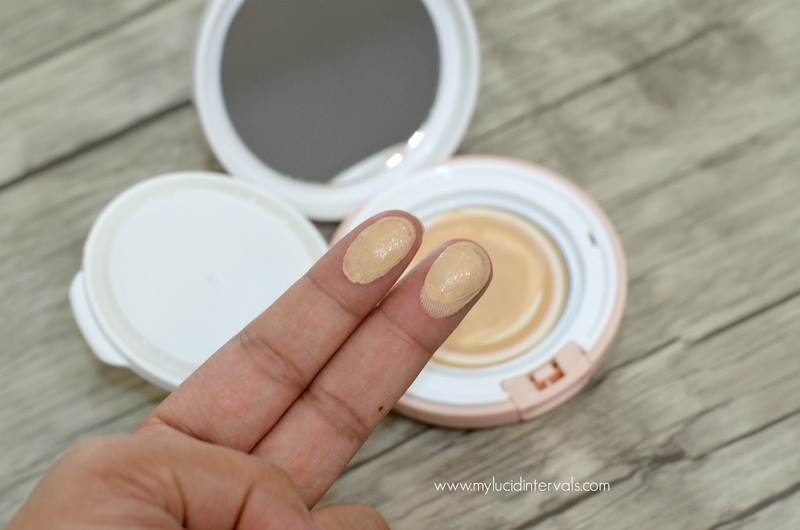 On my initial swatch at the back of my hand, I got the Light Beige because it looked more yellow than Natural Beige. This costs 1098 pesos. The product is very creamy. It glides easily and smoothly on my face. What I am impressed about this product is its medium coverage. This can cover up my redness. dark circles and even minor discoloration with just one layer. 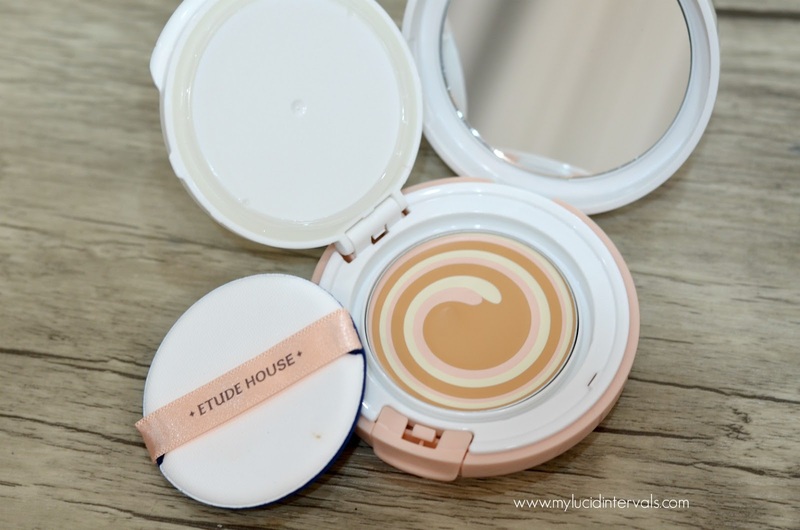 To prevent the foundation from further looking way too light on my skin, I try to scoop out the beige product more and veer away from the white and pink swirls. A spatula will be helpful in scraping out the product. This feels lightweight when worn. It gives off a semi dewy finish perfect for my dry skin. Due to its finish, it has a tendency to move around. Thus, it is best to set it with powder. Since this is a cream foundation, one layer is enough to prevent caking. 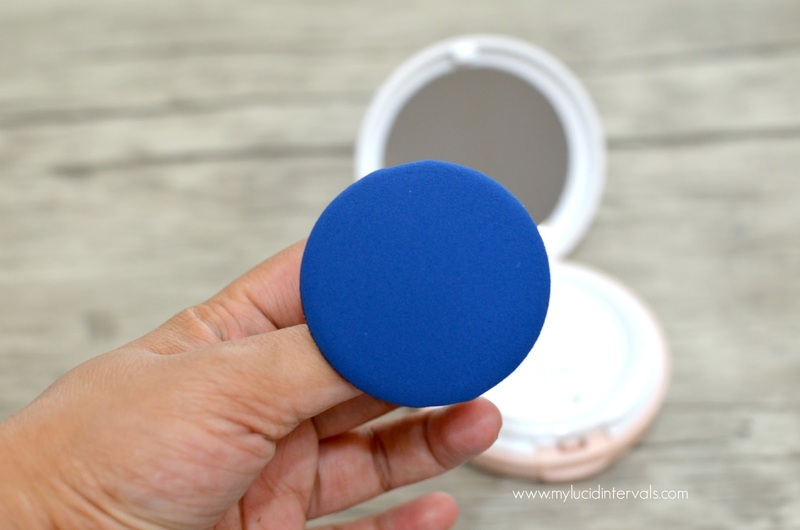 The puff also does a great job in applying the foundation seamlessly and evenly on the skin. I tried using it with a blender sponge and I did not like the heavy mask like finish on my face. 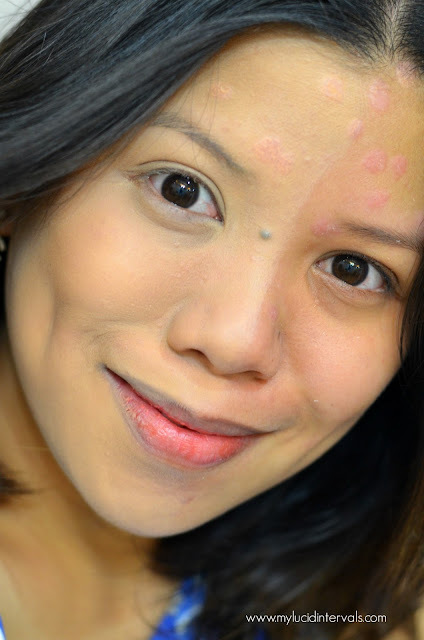 This foundation settles on the fine line under my eyes and it can also emphasize my psoriasis flare ups (but not too much like my other foundations). This foundation look so flawless on other areas of my face that does not have texture or any issues. This has SPF 50 ++. The staying power of this foundation is good. I need not retouch for half day when I used this and does give me an instant brightening and a slight dewy effect after a few hours. The con of this foundation (which is partly my fault) is the shade! I got light beige which looks terribly white and even grayish on my yellow skin tone. This gives a weird white cast on flash photography. Good thing I keep a darker shade of powder foundation for emergencies like this one. 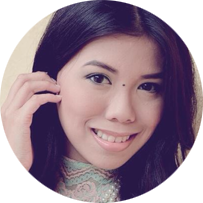 The darker shade of powder foundation worked very well to even out my skin tone and even matched it perfectly. 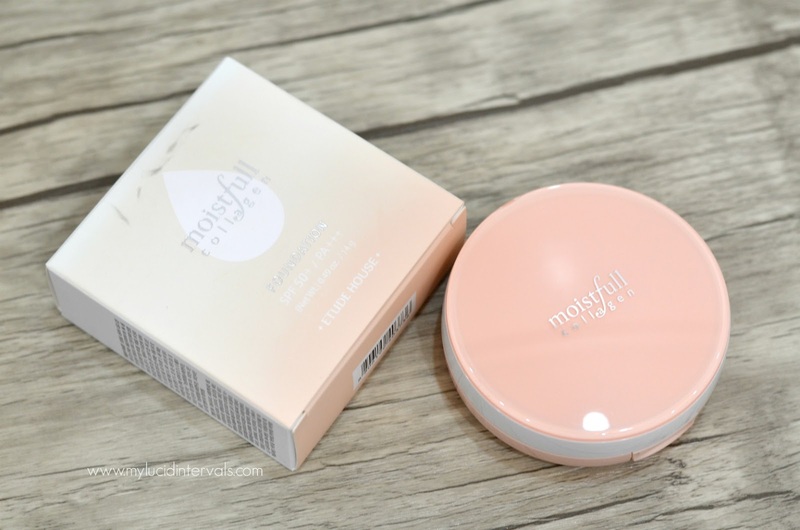 This Moistfull Collagen is for those who wants a foundation with a nice coverage and the same time feels light on the skin for everyday wear. Sadly, this foundation only comes in two shades and due to the white and pink swirls, this may appear grayish or unnatural on yellow skin tone. Has anyone of you tried this foundation? What are your thoughts on this product? One of the reasons why I don't use makeup that much is that most of the foundations/ base makeups available here are of limited shades. Hello. What do you do to remove your psoriasis flare-ups? Do you some kind of ointment?